Prior to Oracle 10g it is possible only to create a spool file – cannot append or replace. This is particularly helpful when we spool the data inside shell scripts and use the same spool file …... It's actually a good thing and even Oracle is following suit. 11g has a lot of things locked down that were wide open in the past. 11g has a lot of things locked down that were wide open in the past. To many people were running setup.exe, clicking 'Next' on all defaults and putting machines in production with no knowledge of how to tighten up the security. It's actually a good thing and even Oracle is following suit. 11g has a lot of things locked down that were wide open in the past. 11g has a lot of things locked down that were wide open in the past. To many people were running setup.exe, clicking 'Next' on all defaults and putting machines in production with no knowledge of how to tighten up the security. I am running sql script and want to produce a spool file with a name as script_output||datetime i.e appended with the data time. I searched a lot but couldn't find a clear and proven answer. I searched a lot but couldn't find a clear and proven answer. if you spool out a file that does not exist, SQL*Plus creates a new file. SQL*Plus replaces the existing file if the file name already exists. In Oracle 10g, the SPOOL command has a new APPEND option. 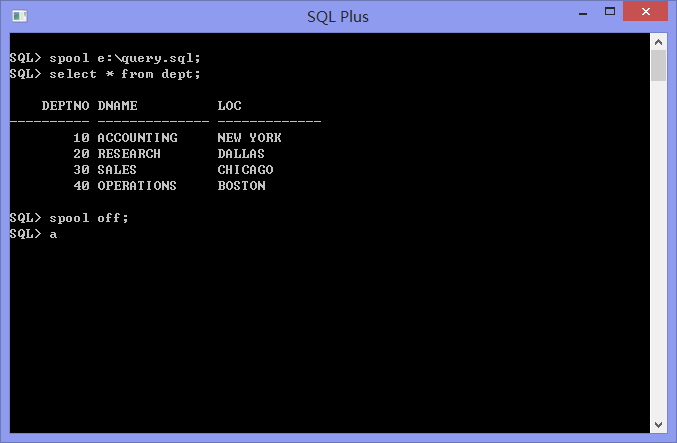 Now, you can append new SQL*Plus output in an existing file. 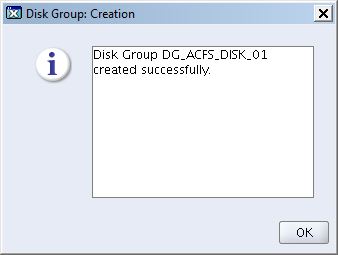 8/03/2012 · Here we need to create 8 different files. Once all file creation is over then run one script , your database will create automatically. Once all file creation is over then run one script , your database will create automatically.